Public presentations have been scheduled for the four finalists for the Space Science and Engineering Center (SSEC) director position. SSEC is a dynamic, multidisciplinary research and development center in the University of Wisconsin–Madison’s Office of the Vice Chancellor for Research and Graduate Education. Its mission is to conduct atmospheric, oceanic, environmental and astronomical research using model simulations and remote sensing from space borne, airborne, and surface-based platforms to discover and apply physical properties of the universe for the benefit of humanity. 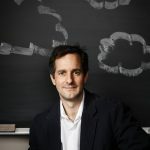 Daniel Cziczo, an associate professor of atmospheric chemistry with a secondary appointment in civil and environmental engineering at the Massachusetts Institute of Technology’s Department of Earth, Atmospheric and Planetary Sciences. His research interests are in the interrelationship of particulate matter and cloud formation. Cziczo received his Ph.D. in geophysical sciences from The University of Chicago. Bryan Duncan, a research physical scientist at NASA’s Goddard Space Flight Center and a project scientist for NASA’s Aura satellite mission. 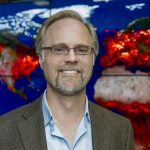 His research focuses on satellite data analysis with goals to develop novel applications of the data and to inform satellite mission development, climate science and global change, the impact of air pollution on human health and agriculture, and the complex interactions between the cryosphere, biosphere, hydrosphere and atmosphere. Duncan received his Ph.D. in Earth and atmospheric sciences from the Georgia Institute of Technology. 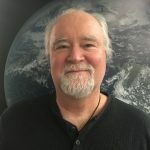 Stephen Nesbitt, an associate professor in the Department of Atmospheric Sciences at the University of Illinois at Urbana-Champaign. His research interests include studying clouds and precipitation systems, and the many physical processes within them, across the globe. He is an affiliate with Computational Science and Engineering and the Center for Latin American and Caribbean Studies. Nesbitt received his Ph.D. in meteorology from the University of Utah. 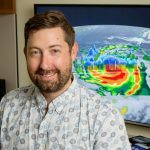 Brad Pierce, a physical scientist at the National Oceanic and Atmospheric Administration within the Advanced Satellite Products Branch on the UW–Madison campus co-located with the Cooperative Institute for Meteorological Satellite Studies within SSEC. He also is an adjunct faculty member within the Department of Atmospheric and Oceanic Sciences. Pierce received his Ph.D. in meteorology from UW-Madison.